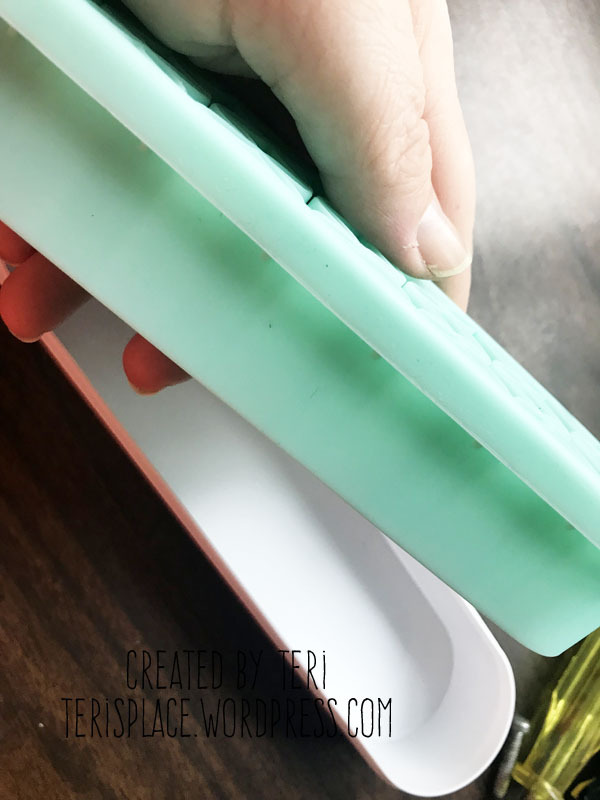 I'm here to talk to you today about the Stash n' Store organizer from It's Sew Emma! 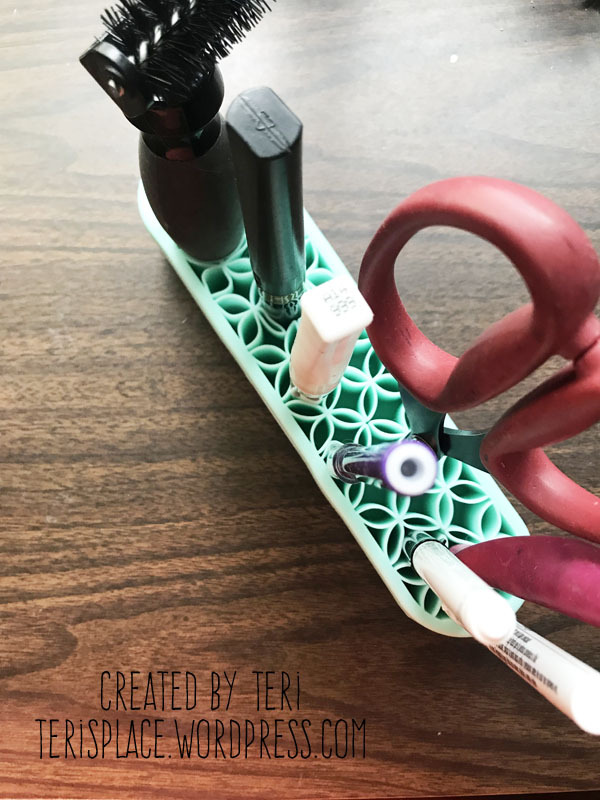 This organizer was made with people who sew in mind, but it's also a great organizing tool for paper crafters and scrapbookers. The tool is pretty simple. And it doesn't take up a lot of space. 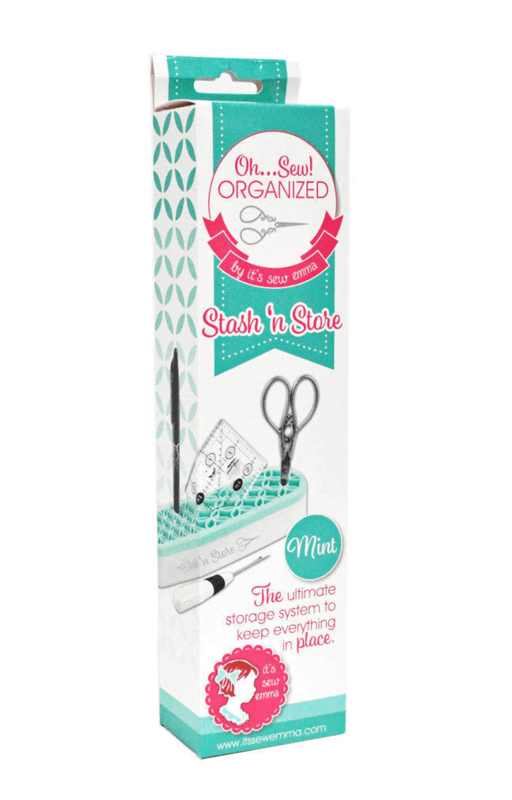 It consists of a base that is a little a more than 8" long by 2" wide and a soft rubber insert. The stretchy insert accommodates scissors, paper piercers, markers and other tools. It can also be used for storing small non-crafting supplies, like screwdrivers, small wrenches and other pieces of hardware. The stretch insert is removable so you can clean it out when stuff gets left in it. 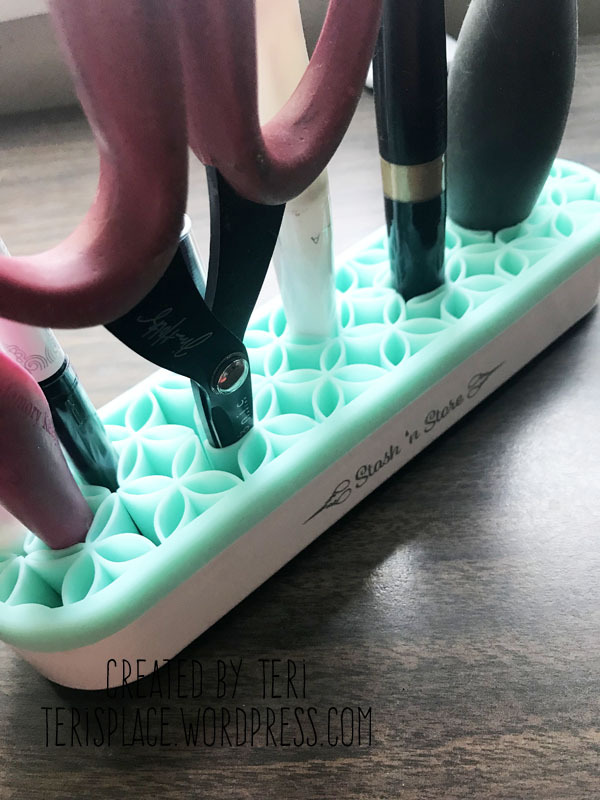 The Stash 'n Store organizer comes in 6 different colors: Red; Gray; Pink; Navy; Mint; Aqua and Ruby. * These organizers are perfect to use while making projects. 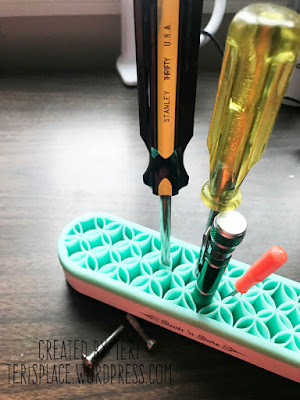 Whether you are a stitching goddess... or a scrapbooker or stamper... it's perfect for putting the tools you are going to use over and over on a project in. That way they are right there, ready to be used! * They are made of a sturdy materials and are not flimsy. The rubber insert is stretchy too so you can store a variety of tool sizes in it. * The inserts are removable so you can take them and toss out any trash (or small dust flecks) left in them. * They are easy to store! The small size makes them perfect for setting them on a desk! * They are super affordable. 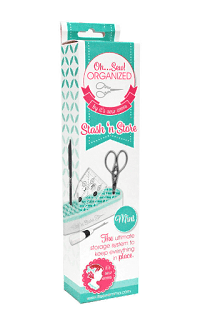 * They are practical not just for paper crafting and sewing. 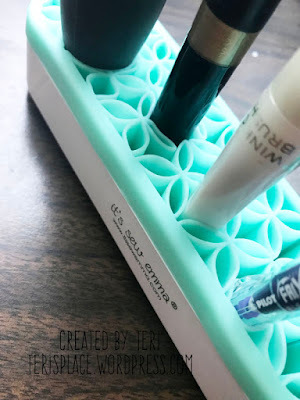 These organizers can be used around the house. I imagine you could even use it to store cosmetic supplies, like mascara, lip sticks and lip & eye liners, in. * Not really anything, other than I find myself wanting to pick up more of these organizers to use around the house! They are so great! I'd love to keep one on my crafting desk, in my tool shed and elsewhere in the house. They are just so useful! ** indicates the best price of the above stores. Are you an organization fan? Have you seen this organizer before? What would you store in it? This is such a great idea! Love it! I've never seen this product before, but it looks clever, practical, and affordable too. How does it not tip over, if you have lots of items tucked inside of it?...I guess you just have to balance it out. Thanks for the write-up on it!